Manufacturer of a wide range of products which include ultra air tyre vulcanizer, jm 700 truck tyre vulcanizer, tyre vulcanizing machine, tyre vulcanizer, jm 300 tyre vulcanizer and ultra manual tyre vulvanizer. 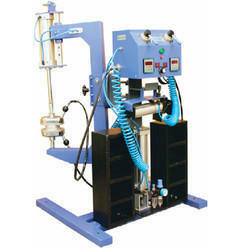 We are offering a wide range of Ultra Air Tyre Vulcanizer. Injuries to the Tread, Shoulder and side wall. 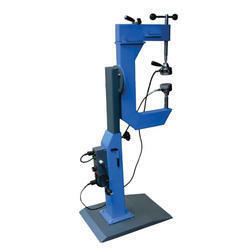 This machine operates with Pneumatic Pressure devise and Pneumatic Height Adjusting Device. Easy to Operate as like One side can repair tread area another side remove the lock turn 180 to repair shoulder area without any strain. Available in Various sizes of Moulds. We are offering JM 700 Truck Tyre Vulcanizer to our client. 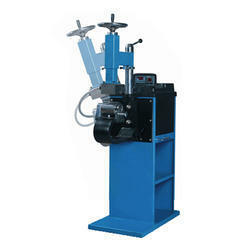 We are instrumental in exporting and supplying an excellent quality array of Tyre Vulcanizing Machine. 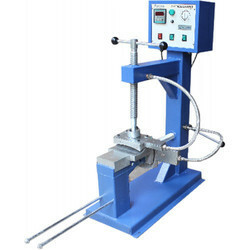 As per the defined guidelines; we manufacture the offered tyre vulcanizer by making use of best quality material and leading technology. Along with that, quality controllers keep an eye on the complete range of tyre vulcanizer at every stage of production in order to eradicate any possible defect from. 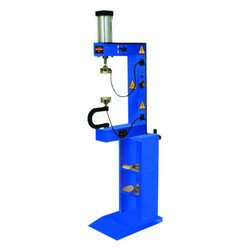 Used for passenger tyre vulcanizer for the heat vulcanization of the repaired of passenger car 145 – 275, the function of the vulcanizer: Inbuilt thermostatically controlled heat plates with select timer heating, and pneumatic pressure devise, including seven vulcanizer plates, it is the advanced equipment to repair tyre. We are offering Jm 300 Tyre Vulcanizer to our client. This machine specialy design for 3 segment heating plates. 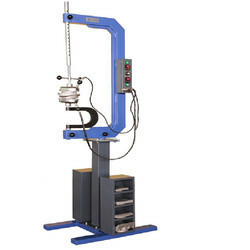 We are offering Ultra Manual Tyre Vulvanizer to our client. 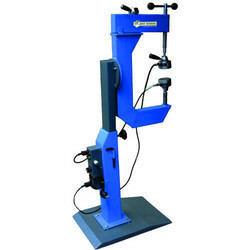 This Machine is specially designed for Tyre Repair in Tread area, Shoulder and Bead areas for Truck & OTR Tyres. 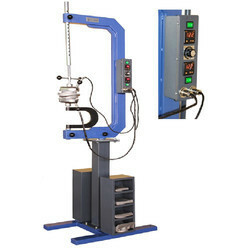 This Machine has Temperature Controller which is using for select temperature according to the requirements and up & down heating by separate switch control, can fully meet the needs of any part of he tyre repair. At the time of curing, tighten the heaters to a depth of 2-3 mm at equal intervals of 5 minutes each. 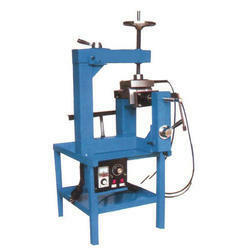 JM 600 Car Tyre Vulcanizer specially design for tyre crown and bead area. This two screw rods to help perfect compressed in the injured area of Tyre.The adjustable temperature control device, can ensure plenty of curing temperatureThe adjustable time warning device, can ensure the tire vulcanization time. With special thermal bag, can be vulcanized tire more in line with the normal use. 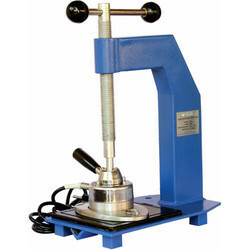 We are offering JM 400 Car Tyre Vulcanizer to our clients. We are offering JM 300 Car Tyre Vulcanizer to our client. We are offering Ultra Manual Tyre Vulcanizer For Car And Truck to our client. 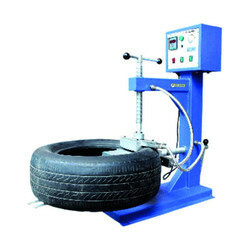 Owing to our expertise, we have been able to offer our clients impeccable quality Tyre Vulcanizer Machine. 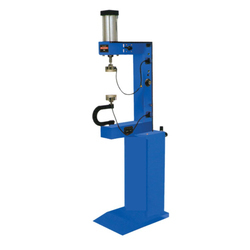 Our offered tyre vulcanizer is designed in such a way that we are able to maintain globally accepted standards. Due to their outstanding features, this tyre vulcanizer is largely demanded in the market. 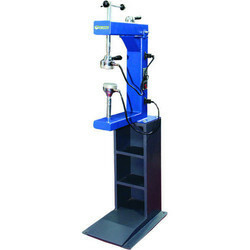 Also, customers can avail the offered tyre vulcanizer from us in a wide range of specifications. With special thermal bag, can be vulcanized tire more in line with the normal use. The electric heating plate cast in aluminum with inbuilt Thermostat. Fast heating. 40% energy saving long service life. We are offering Tyre Vulcanizer to our client. 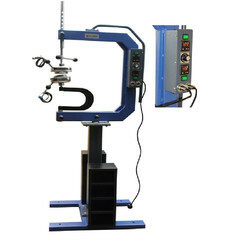 We are offering JM 500 Car Tyre Vulcanizer to our client. Looking for Tyre Vulcanizer ?